He walked on unseeingly until he had passed far beyond the town before he stopped and looked around him. The verdant forest around him hummed with life and he stood in awe as he watched birds of bright colours flash across the skies above him, lighting from branch to branch. He leaned against a large rock, listening to the stream that bubbled nearby. He wanted to plunge into the water, to hide his pain and disappointment in the hands that had held him all this time. He wanted to float on its waves until it led him back home. "Why do you sigh so loudly, little human?" a voice of endless wells said softly into his ear. The rock beside him moved. "Does it matter who I am before you answer my question?" Danis scrambled away as a scaled head raised itself and a bright gold eye looked down at him. "I suppose it does not, O Great Dragon," Danis said, stammering. "I'm sorry, I didn't realise I was leaning on you." "No. Most of you do not until I reveal myself," the Dragon said. "But you have not answered my question yet." "I sighed because I could not find a wife. None of them would have me." "And this wife is important to you, little one?" "I suppose. Everyone of my age has one." "And what is this 'wife' that everyone has but you do not?" "A wife - well, a wife would be my partner and my love. We would raise children together and -"
"Ah, you look for a mate!" The Dragon looked ponderously upon him and Danis wondered if he was quite safe. "Why is there none for you in the town?" "They say I am too old." "You? Old? 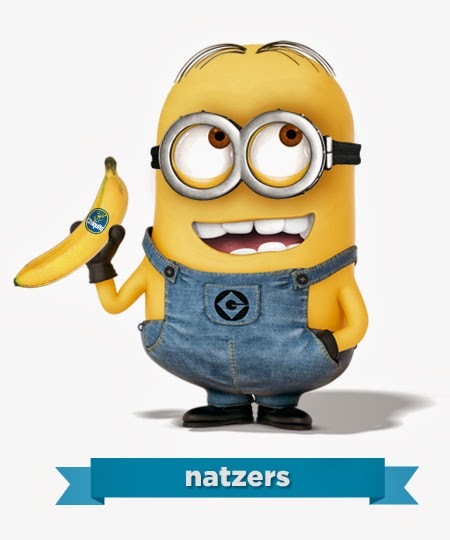 You are but a fraction of my age and I too have yet to find a mate." "It is different with us. We do not live as long as your kind do." A silence fell between them as the dragon continued to stare at Danis and Danis nervously backed away a step at a time. "I apologise for disturbing your rest," Danis said. "I will go now." Danis turned back to face the dragon's two burning eyes. "Go north, little human. Go north until the winds blow cold and you walk on water. Go north, and there you will find her." The dragon blinked once, twice, and then it spread its mighty wings and flew away with a might rush of wind, leaving Danis' words floating unheard behind it: Is that a prophecy? There was no answer to his question and all the forest was quiet now, his voice having frightened away all but the hardiest predators. He pulled his cloak around him, hugged his pack of bread and continued on the road. So this is a little snippet of a WIP that has been in progress since... 2012. Darn. That's a long time. Anyway, I thought it would be a nice teaser to the overall theme I have in mind for the A to Z challenge. Also, the first ever A to Z twitter chat (#AZchat) will be coming to you Friday 2/28/14 at 6pm EST. Find out more here. P/S don't worry if you miss it. We're hoping to make it a weekly thing! Cameron Winters has always been the freak mind reader trying desperately to appear normal. Then one day, Lewis shows up and tells her that there are others like her. Defying her grandmother, whose only wish is to protect her, she runs away with Lewis for the promise that Aaron, her father's friend, will be able to teach her all that she needs to know about how to use her powers and to protect herself. I downloaded this on one of my frequent "free download" sprees and opened it only today as I had a long transit at the airport. The book had me engrossed and I'm off to get the second one to continue the story! So Cameron Winters finally has a semblance of a normal life until a mysterious man named Maddox barges into her life claiming that he's been sent to bring her to her father - except that her father has been dead for over a decade. Things spiral out of control when armed men chase after her, and she is forced to trust him after being separated from her grandmother. I suppose I'll get round to reading the third book, The Mind Games, soon. Well, during one of the cell groups I attended here, Iris asked "what do you think God is speaking to you about?" (or something along those lines). I think the biggest thing for me, which has been felt over and over again every week at church, is just the feeling of release, that it's okay to just let go and do stuff, because it glorifies God. I'm going to need to backtrack a long way to explain this properly, I think. I'm not even sure if I know how to explain it properly. A gazillion years ago (or maybe about fifteen? ), we were having one of those cell group days when it was just us faithful three - Josh, Fran and I. So we decided to just do extended worship (I think we walked out for supper after that, or that could have been another cell meet) and I remember Josh saying something like that I would bless people with my song, with my harmonies. (As you can tell now, I don't have a very good memory.) And I kept that word, because it was precious to me. Then somewhere along the way, I became afraid. Self-conscious. Part of it was the worry that I was wanting to sing, wanting to do all this stuff for my own ego, because I liked doing it, and because I was good at it. Part of it was the introverted me getting shy when the spotlight came and when people praised me. And I think what confused me a lot was that strange feeling of wanting to be praised but not knowing how to respond to it, mixed with the feeling of not wanting to be praised and letting my gifts glorify God, jumbled up with the voice that said if no one notices or acknowledges what I'm doing, I'm just not good enough. I don't know if anyone else feels the same way. (Please raise your hand if you do. Virtually, of course.) The question I think I really had was how do you know if you're doing this for God or for your own pride? I guess this is especially relevant for any Christian involved in stage ministries (singing, music, writing, - anything that showcases a visible talent) because it's easy to start serving in these ministries for God, and then get distracted and start doing it for your own ego. And all the while telling yourself that you're doing it for God. Anyway, I guess what happened was that I started holding back. I didn't want to stand out, I didn't want to seem like I was showing off, I didn't want to push stuff, because of the thought "what will people say?" (I struggle with this a lot). And I felt what God has really been telling me this whole while is, I've given you talents for you to USE them. So I tell myself - It doesn't matter what people say. It doesn't matter if I'm singing too loud. It doesn't matter if I look weird. It doesn't matter because if I'm doing it for God, and if my motives are pure, who is man to judge me? This is especially crucial for me at this time, because my head is running full steam ahead with a gazillion plans - a new musical on the way (hopefully! ), a creative arts team to start up, a whole creative arts network to build across Malaysia. The check is always to remember why I want to do this - not for myself, not for the glory, but to be able to build a ministry, build a place where people, creative people, can mirror God's beauty and creativity in our world. There's much more to be said about this, but there are announcements and signs going up at the gate although there's another half hour to go before boarding but I get antsy about this kind of thing, so I'm going to stop here. I don't know if it's made much sense because I don't have time now to read through the whole chunk of text I just vomited out but I hope it makes some sense to you. After nearly a decade as the king’s whipping-girl, Princess Arianna has no intention of going quietly into marriage to some treasonous noble, or serving obediently as the king’s spy until her death is more convenient. 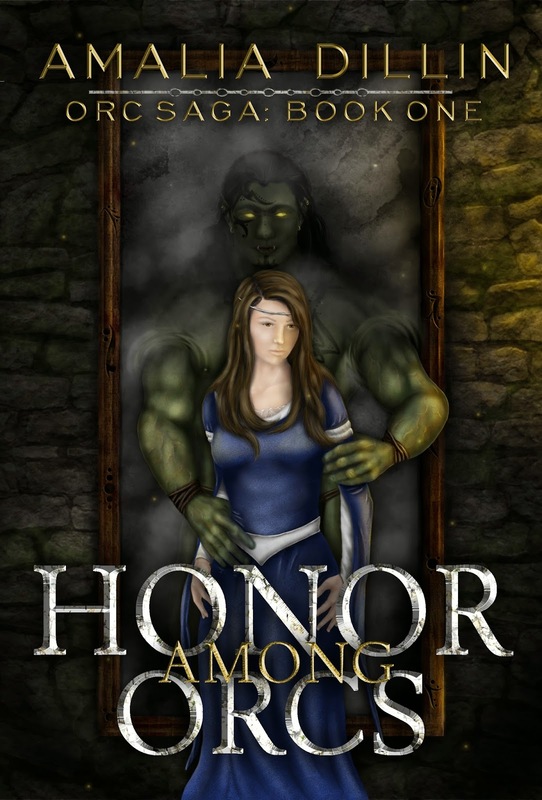 When she discovers a handsome orc, chained and trapped inside a magic mirror, Arianna cannot help but see a lasting freedom from her father's abuse. Left to rot inside a mirror by the king, Bolthorn never imagined his prayers would be answered by a princess. Nor did he ever expect to meet so worthy a woman after knowing her father’s cruelty. He needs her help to escape the mirror before the king marches against the orcs, but all he can offer Arianna is ice and darkness in exchange for her aid. If Arianna can free the monster behind the glass, perhaps she might free herself, as well. But once they cross the mountain, there will be no return, and the deadly winter is the least of what threatens them on the other side. Romance blossoms in this gripping fantasy adventure. He knew these woods, sparse as they had become, and when they broke, he knew the tundra of the foothills too. Just before dawn, he found the outcrop beneath which he had made a shelter his first night beyond the mountains, and though he did not dare to light a fire, the sedge made a soft bed. After a meal of apples and cheese, the last of their food, Arianna curled against his side, sharing the fur, and rested her head on his shoulder. He tested her forehead for fever and breathed his relief when she did not burn against his palm. His fingers lingered against her skin and her smile faded. He traced the clan-markings on her cheek and her lips parted, her heart thrumming in his ears. Up the bridge of her nose and over her eyebrow, the umber flaked from her skin, coloring his fingertip. Down along the line of her jaw, to the pulse point beneath. Her breathing hitched. He only wished the marks had reached her collarbone, to give him some excuse to trail his fingers across the smooth skin there. “Not a Vala?” she asked, her eyelashes sweeping across her cheek. Oh. It was the first thing she had ever said to him, trembling against the stone. She trembled now, too. As she should, he thought, knowing herself within the arms of an orc. He closed his eyes and drew his hand back. This was a dangerous game to play with her so near, so vulnerable. She made a noise in the back of her throat, but when he glanced at her, she had turned away. 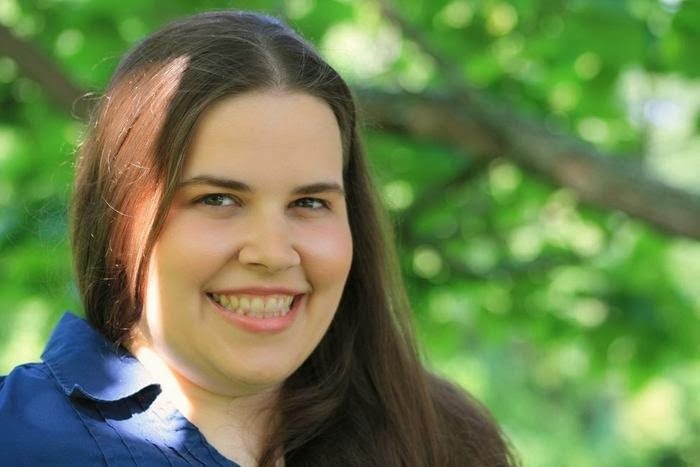 Amalia Dillin began as a Biology major before taking Latin and falling in love with old heroes and older gods. After that, she couldn't stop writing about them, with the occasional break for more contemporary subjects. She lives in upstate New York with her husband, and dreams of the day when she will own goats--to pull her chariot through the sky, of course. Space is the new frontier - the new frontier of an age-old battle between the Alliance and the International Trading Company. The Argos is crippled, leaving its crew stranded in the middle of space, with an exploratory team stuck on an unknown planet. Was it an accident or was it industrial espionage? New Frontier started off rather slowly and I almost wanted to stop, but it grew more interesting as more characters and their backgrounds were revealed. I do think I would have liked it better if it were in a more linear sequence. It makes sense how it's written, that every time a new character or new motives are revealed, there's a time jump into the past to see the background of this new development, but after a while it got a little tiring to keep track of the jumps. Even so, New Frontier is an interesting read. I received a copy of New Frontier in exchange for my review. About the Book - About the Author - Prizes!!! That's it! One random commenter during this tour will win the first gift card. Visit more blogs for more chances to win--the full list of participating bloggers can be found HERE. The other two prizes will be given out via Rafflecopter. You can find the contest entry form linked below or on the official New Frontier tour page via Novel Publicity. Good luck! As a new era dons for humanity with all the attendant celebrations and riots, finally breaking the bonds which left us tied to the Solar System is reported as being the moment which unites all the disparate parts of the world and brings us into an era of peace and discovery, and yet this giant leap is almost instantly marred by greed erupting into violence. The Argos, the ship sent out on this historic mission, is left adrift and crippled far from home, survivors of this mysterious attack struggle to hold their ship together and come to the rescue of homesteaders and compatriots relying on them to not only survive but retaliate, and rescue a world where the Solar System has become a rugged frontier ripe for colonization and opportunity filled with the honest and ruthless carving out lives past the veil of civilization. Several rival corporations, monopolies delving into every industry imaginable, have all but supplanted nation-states, keeping governments around only as a necessary fiction to pacify populations, and the realm of business now reaches into politics, military, religion, and all other aspects of human life. The frontier regions of space are a place filled with new homesteaders, miners, merchants, bandits, and scientific minds that is barely able to keep from slipping into total anarchy, a frontier region where people can disappear from their lives and head off into the unknown. New Frontier is an adventure which stretches from the furthest reaches of space, to slums in backwater cities, to the lunar capitol, and ultimately onto the wreckage of the great ship. The gallant and the selfish alike are forced to face the best and worst of human civilization far from home and decide what they truly believe in. Get New Frontier through Amazon or Barnes & Noble. Born in Odessa, Texas Jeremy grew up mostly in southern New Mexico. Strongly influenced by his grandmother’s adoration of history, and his mother’s love of reading, both of which he adopted early in life. Inheriting a work ethic from his father which served him well in the manic world of theater, Jeremy Lee started out writing for the stage, first in Denver and then in small New York venues while attending the New York School for Film and Television. With 2011's Where I'm Bound I Can't Tell he began working in novels with a deeply personal look at growing up without growing old, which simultaneously expanded into a worldwide adventure through the 20th century. Kings of New York began a long and rewarding relationship with Neverland Publishing, which continues even today. This gangster tale played in the wonderland of 20's New York, and painted a picture of cons just trying to survive and make a dishonest living the ruthless world they inhabit. With New Frontier his career took an abrupt turn, looking not into the past but into the possibilities of the future. Exploring themes of strife, political corruption, greed, adventure, and religion, the book touched off a storm from reviewers. Jeremy Lee currently lives in Denver with his family, writing ferociously when he can't find and excuse to be in the middle of nowhere fishing, getting blissfully lost in a museum, or occasionally just watching old Bogart movies and eating pizza on the couch. Connect with Jeremy on his website, Facebook,or GoodReads.. Welcome to the TOUCHED WITH FIRE cover reveal! This fabulous historical fiction has received a new look and it's going to blow you away. Now before we get to that, let's talk about Touched With Fire, a novel of the Civil War inspired by the true story of Ellen Craft. Ellen Craft is property; in this case, of her half-sister Debra, to whom she was given as a wedding gift. The illegitimate daughter of a Georgia plantation owner and a house slave, she learned to hate her own image, which so closely resembled that of her “father:” the same wiry build, the same blue eyes, and the same pale—indeed, lily-white—skin. Ellen lives a solitary life until she falls, unexpectedly, in love with a dark-skinned slave named William Craft, and together they devise a plan to run North. Ellie will pose as a gentleman planter bound for Philadelphia accompanied by his “boy” Will. They make it as far as Baltimore when Will is turned back, and Ellie has no choice but continue. With no way of knowing if he is dead or alive, she resolves to make a second journey—South again. And so Elijah Craft enlists with the 125th Ohio Volunteers of the Union Army: she will literally fight her way back to her husband. Eli/Ellie’s journey is the story of an extraordinary individual and an abiding love, but also of the corrosive effects of slavery, and of a nation at a watershed moment. Celebrate this great new cover with us by entering our giveaway below and spreading the word! William Craft admired the interior of the small church, much of which he had built. His master required him to work ten hours six days a week, but he squeezed in many late nights as well as his free Sundays, his one day of rest, to do most of the building’s finishing work and the crafting of the altar and pews. Being a skilled cabinetmaker set him apart from most slaves, and it brought in a good income to Master Johnston, his owner and a banker in their town. Yes sir, he thought, it was not as large or as fancy as the white church, but it had style—his style: smooth clean lines to naturally draw your focus to the altar, and lovingly crafted highlights and scrollwork to fix your gaze on the pulpit where the minister preached. A large, elderly black woman sat down heavily next to him. “Good morning to you, Miss Betsey,” said Will, bowing slightly. “And how are you this fine Sunday morning?” A house slave belonging to Colonel Thomas Collins, a prominent member of the white community, Will had known Miss Betsey all his life. Every matron in town seemed to want to play matchmaker for him. It was a subject he dearly preferred to avoid, but he was trapped in church with no escape. “Well, it’s not so easy as that, Miss Betsey,” he started, but was cut off. “The problem is a slave marriage has no standing, and you know it. We don’t belong to ourselves, but to our masters to decide if and when we come or if and when we go, as their pocketbook or mood decides. Now what kind of a marriage is that?” he said heatedly. She looked at the Reverend Zachary Hess at the front of the church, the white preacher sent every Sunday to watch over the slave congregation. Sitting quietly observing the assembling crowd, he was fiftyish, fat, squinty-eyed and sporting a handlebar moustache of truly epic proportions. The whites forbade the assembly of slaves for fear they would hatch plots to rebel, but church was the exception. Religion, properly supervised, was believed to have a calming influence on the mind of the slave, and Hess was there to see that this church and its messages were properly supervised. He did not preach himself; a black minister, Reverend Evander, did that. He just sat by the altar staring balefully at the congregation and watching, watching, watching. Watching him watch them gave William a case of the shivers, but there was nothing to do about it. “Well, the good Lord is taking his own sweet time about it,” said William bitterly. A solitary figure walked past, taking a seat five pews to their front. That it was a white woman surprised William until he recognized her as Ellie Smith, a short, thin and handsome young woman with jet black hair and a sad yet defiant set to her face and eyes. William knew she was the slave daughter of Major Smith; everyone in town knew the scandal of her parentage. Her mother was also the offspring of a master-slave coupling, making Miss Ellie a quadroon. Two of the women next to her got up and moved, leaving her prominently alone as she stared straight ahead. “Why do they do that?” whispered William. “Why do those women move away from her like that?” he said, nodding to Ellie. “Oh, you mean that piece a calico? Just see how fine she dresses, putt’en on airs like she’s the better of us all just cause her daddy’s a white man and she white as the harvest moon in a midnight sky her own self. And for all her airs them clothes ain’t nothing but hand-me-downs from her daddy’s real gals. William noted many young men watching Ellie, a strange blend of lust and hostility in their eyes. There was not a man here who did not want her, knew he could not have her, and felt a fierce resentment because of it. A resentment apparently shared, thought William, by most of the women. William caught the look in the Reverend Hess’s eyes, who was also staring at her, and the lust William saw there curdled his blood. William shook his head. He knew she refused the advances of every young man in the congregation, and even if her dresses were hand-me-downs from her half sisters, she was still the best-dressed woman in church. And growing up in the house with her half sisters, she did speak like an educated woman, even if she was not. Of course, William was the same. Dealing almost exclusively with educated whites in his trade, he learned to speak like one. It was just one of those days, until it wasn't. We were hanging out in his living room, me stretched out on the couch, him sitting on the floor, the TV whispering incessantly. Overhead, his mother's footsteps tapped, never stopping. He leans his head back on the edge of the couch, looking up at the ceiling. I reach over to stroke his hair. "Do you ever feel like you've gone too far to turn back?" "The things that you've decided to do," he turns his head to look at me. "That would depend what those things were." I feel a churning in my heart, that familiar grip of fear. "It's like I feel that we were made for something more than this. And yet every time I want to go, I decide that I will move on, something holds me back. But I push on a step at a time, until suddenly I feel like I'm walking on water and I'm going to drown." He pauses, licking his lips, turning away to stare at the TV again. I reach my hand toward him, almost taking his hand, but settling instead on his shoulder. I don't quite know what to do or what to say. I don't know if I should tell him that I feel the same way too. "I don't know where to go, and yet I know I can't stay. It's the most frustrating feeling in the world. And yet - there's that yet again - there's a knowing. That something is right. Something is shifting. I just can't tell what." He takes my hand in both of his, sitting up and facing me. "Will you go with me," he asks, "even though I don't know where I'm going?" His puppy dog eyes melt my heart and I swallow. "I will anchor you, if you will anchor me," I say. "But what if I drown?" "Why would you? You're anchored to the Rock." "So we will be Abraham and Sarah," I say as he turns away again, "stepping out into the great unknown." "And together we will be Peter, and Ruth, going always to where His voice calls." "I am afraid, Joshua," I say in a small voice, quieter than the purr of the advertisements. "So am I, Esther," he whispers back. "But together - us and God, we'll go places." I cannot help the tears that fall, or that fist in my chest. But deep in my belly, there is peace. Backward Compatible was a totally adorable and geeky love story. It was cute in a dorky kind of way though I have to admit that I'm not much of a gamer so some of the jokes were probably lost on me. Nevertheless it was a very entertaining and enjoyable read. The only minus point I would give it was that it wasn't quite as clean a read as I was hoping for. 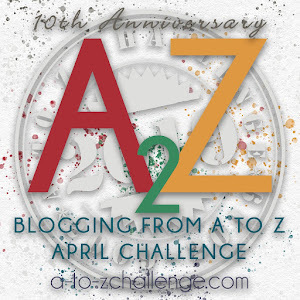 P/S: Signed up for the A to Z Blogging Challenge yet? Join us here! P/P/S: Done? Next join us for the theme reveal here! Okay, so the last I checked yesterday, there are 650 people signed up for the A to Z blogging challenge 2014. (SIGN UP HERE NOW). P/s Drop by and greet the other hosts of this reveal: Csenge, Guilie, Samantha and Vidya! Especially Samantha who did our beautiful badge! But I'm not saying anything more until the reveal on March 21st, 2014. So what on earth do YOU need to do? 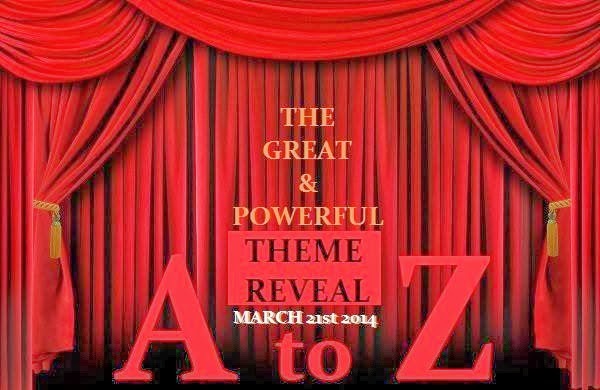 Just sign up on the linky list below, and publish a post on the 21st of March talking about your A to Z Theme - tell us what your theme will be, and why it would be interesting for your existing readers and A to Z Participants. This would be a great opportunity for you to link up with other A-to-Z-ers, and by the time the challenge begins in April, you'll have an audience waiting for your posts. I use Grammarly to correct grammar online because the Nazi in me admits it sometimes needs help. 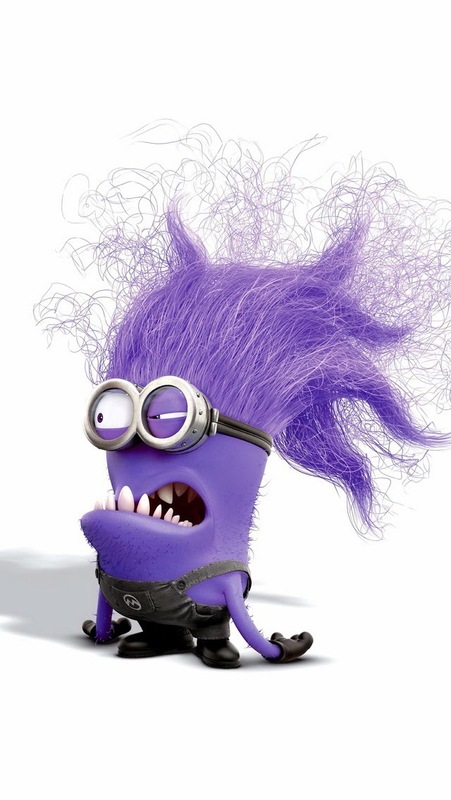 Okay, so I've been participating in the A to Z challenge for 3 years now and this fourth year, the lovely Damyanti, who co-hosts the challenge, has graciously picked me to be a minion!! Basically... you write 26 blog posts in April, every day except on Sundays. Well, you can still post on Sundays if you want to, but it won't be part of the series. Each post starts with a letter of the alphabet, i.e. A on April 1, B on April 2, C on April 3 and so on. Your posts can be on ANYTHING. It doesn't even need to be WRITTEN. It could be pictures, if that's what you like. In 2011, I wrote a novelette of approximately 13,000 words just by writing a 500-word chapter each day. In 2012, I wrote 26 separate flash fiction pieces of about 500 words each. In 2013, I attempted to write 26 flash fiction pieces as well, but I hit a hard time at work and managed only about half. This year... I don't know what I'm doing yet. Flash fiction's the easiest choice. But maybe I could try something different this year.